What is the first step in the appraisal process? Depending on who you ask, you may get a variety of answers, such as: inspecting the site and improvements, collecting public data about the subject property, searching for sales, or even – getting paid. While all these steps are important, a process of analysis that primarily takes place outside of the appraisal report, and is considered the foundation upon which market value rests, may be the most important ‘first step’: developing an opinion of Highest and Best Use. Highest and Best Use is the most reasonably probable use of a property that is legally permissible, physically possible, financially feasible, and maximally productive. These four criteria are the test of highest and best use and help determine the use of the property that results in the highest value. Legally permissible means being in conformity with applicable regulations, zoning restrictions, deed restrictions, etc. When determining if a use is physically possible, the appraiser must take into account the size, shape, accessibility, and topography of a site. Tests of financial feasibility deal with the economics of supply and demand. For instance, it may not be financially feasible to buy a lot surrounded by retail properties to build a single-family residence, you may pay more for the land than you would in residential subdivision. Sometimes, knowing the uses of surrounding properties can help support decisions about financial feasibility. Finally, the best use of a property must be maximally productive, or the most profitable. Bottom line, this is the use that provides the greatest return on investment. This process is used to identify the competitive position of a property in the minds of market participants. The market makes decisions every day about real estate using these criteria. So the highest and best use of a parcel is not determined through subjective analysis by the property owner, the developer, or the appraiser. Rather, it is shaped by competitive forces in the subject market. Identifying the highest and best use of a specific property often involves market research and analysis. Sometimes the highest and best use of a property is not its current use. Imagine an older single-family residence on a lot located on a major roadway within city limits with a high traffic count and being surrounded by commercial office uses. The highest and best use of this property may be to raze the improvements and sell the land as vacant for office development…but not necessarily. As long as the value of the property as improved is greater than the value of site as vacant, the highest and best use is still the existing use. The cost to demolish those existing improvements must also be considered and may further support the current use as the highest and best. 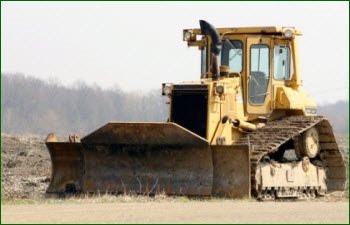 So, before you rent a dozer and tear down your house, give us a call. Aside from appraisals, we can provide consultation, perform market studies, and help determine highest and best use before you break ground. Is your farm suited for duck hunting? How high should the sidewalls be on your industrial shop space? Are you charging enough rent for your office space? These are all questions that we can answer with market analysis and highest and best use considerations.